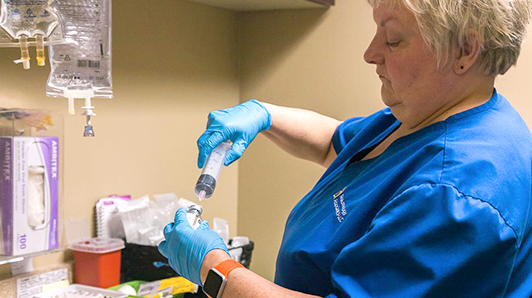 We evaluate patients for suspected systemic, autoimmune/inflammatory rheumatic diseases. We treat and follow patients with these diseases. These include rheumatoid arthritis, systemic lupus erythematosus (SLE), Sjogren’s Syndrome, dermatomyositis, polymyositis and other diseases collectively known as "Connective Tissue Diseases"; psoriatic arthritis, ankylosing spondylitis, and related spondyloarthropathies; vasculitis diseases including polymyalgia rheumatica (PMR), giant cell arteritis, polyarteritis nodosa, Wegener’s Granulomatosus, and others; we evaluate and initially treat patients with microcrystalline diseases including gout and pseudogout. 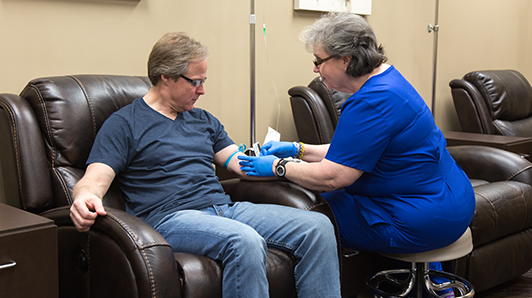 If your condition requires an intravenous medication, you will appreciate our on-site Infusion Suite, equipped with recliners and Internet access.